Chart of the Week: Which Singapore bank enjoys the highest customer satisfaction? Lenders with attractive interest rates stand the best chance. 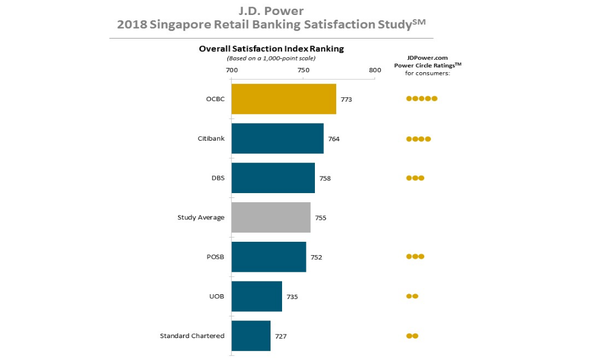 Homegrown lender OCBC ranks the highest in the Singapore retail banking customer satisfaction index by market research firm J.D. Power with an overall score of 773. Citibank follows shortly at second place with an index score of 764, usurping incumbents like DBS and UOB who occupy third and fifth place respectively. POSB Bank ranked fourth place. 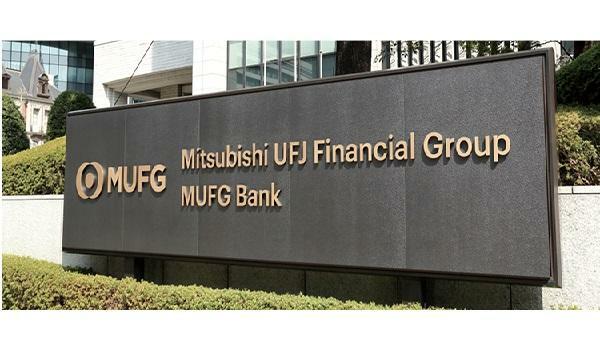 Overall satisfaction levels with banks rose from 736 to 755 on a 1,000-point scale, the survey added. Attractive interest rates emerged as the primary reasons Singaporeans choose a bank followed by proximity to workplace and home and trust in bank. In terms of mobile wallets, DBSPayLah! is the most frequently used with 28% indicating their patronage of the app. ApplePay comes in at second place (13%) whilst GrabPay and NetsPay both enjoy 12% market share. “As banks continue to evolve the mobile banking user experience and digital offerings, they need to place the customer at the heart of their transformation. 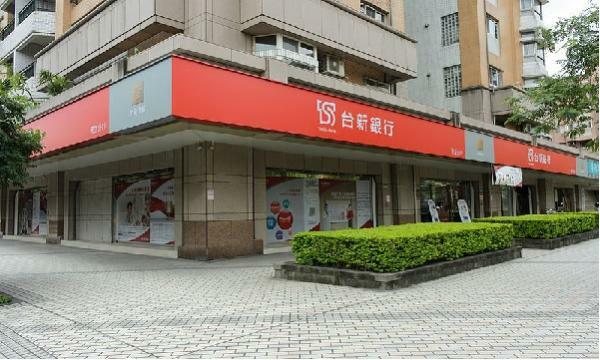 This may not only help to improve the perception of the bank as customer-oriented and innovative, but also deepen the relationship with their customers and build trust,” Anthony Chiam, Regional Practice Leader, Financial Services at J.D Power said in a statement. The 2018 Singapore Retail Banking Satisfaction Study examines customer satisfaction with the products and services provided by their primary financial institution. The study measures overall satisfaction in six factors: account activities; account information; facility; product offerings, fees; and problem resolution.